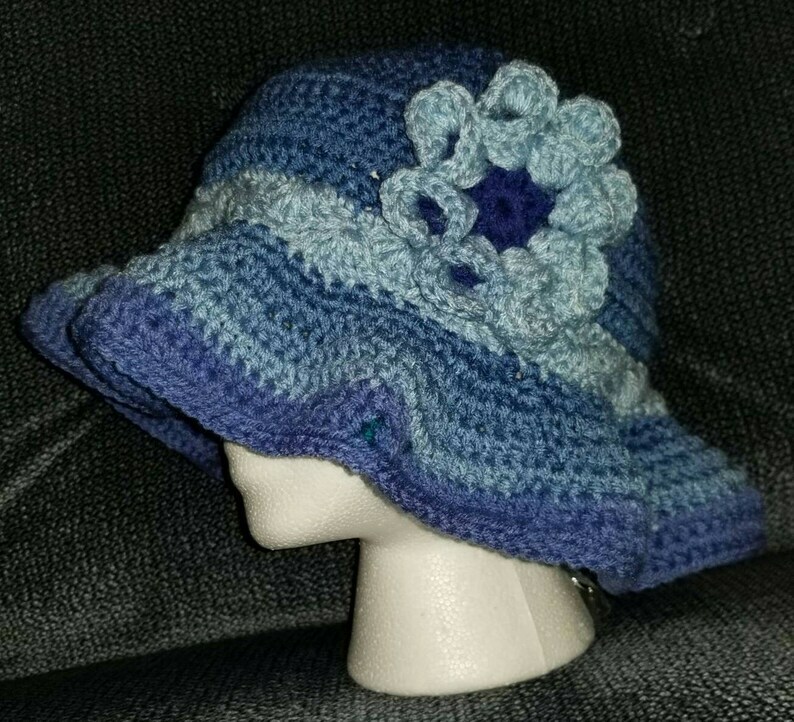 This hat is so cute, and was so fun to crochet! Fun, ruffled, floppy hat. Sun hat, beach hat, Cruise hat... so many uses for this fun hat! It is crocheted using acrylic yarn. It is machine washable gentle because of the flower. Or you could hand wash it easily.